KATHMANDU, July 27: The Tax Settlement Commission was not adhering to any clear guidelines while negotiating tax receivables of Rs 30.52 billion, and its members were overconfident that they could do whatever they willed because their decisions were immune to investigations and disclosures. The guidelines merely set out the procedures for receiving applications and processing them and do not chart out any categorization of applications or criteria for deciding the gravity of the tax disputes, a source at the Commission for Investigation of Abuse of Authority disclosed. The guidelines also have not covered the issue of VAT and taxpayers who were involved in the fake VAT bills scam, nor do they mention clearly whether to recover at least the basic tax or some portion of the fines and interest payable, depending on the taxpayers' financial health. The commission's TOR has clearly excluded tax disputes relating to VAT and fake VAT bills. Taxes payable to the state by taxpayers who knowingly avoided paying were put in the same basket with firms which were involved in real tax disputes and were waiting desperately for a settlement. This showed that its decisions were not guided by any rules. “It was like members of a team playing without any rules because they believed they could get away with anything as they were immune to questions over their decisions and these decisions would not ever be made public,” said the source. CIAA officials said they concluded that the commission members were under the notion their decisions would never be questioned and would be kept a secret. 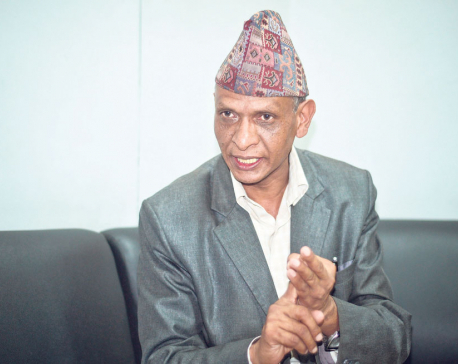 “Commission members did not even follow the minor rules of negotiations with taxpayers, thinking no one will look into the matter even if they went against the TOR and their own rules,” said a CIAA investigation official quoting a key investigation document prepared after grilling Chudamani Sharma, the commission .member-secretary. An official at the Inland Revenue Department who has knowledge of the tax settlement process said that there were no such discussions or bargaining and negotiations. “The private firms would simply get waivers as much as they wanted after filing an application, and the documents for such settlements were then prepared,” added the official. Most of the tax disputes settled in the last month of fiscal year 2014/15 were finalised only after entering the records and there were no negations on the amount, the reports they submitted to the government show. “We cannot say the commission's guidelines were real guidelines because they discounted over 90 percent of the taxes for all private firms but took a stronger stance against government-owned entities. They discounted only in a range of 35 to 50 percent for the latter,” said Sukadev Bhattarai Khatri, former acting auditor general. The 54th report of the auditor general unveiled in April disclosed all the misappropriations. The CIAA then began to investigate. The commission even waived VAT collected by the taxpayers from customers and also discounted the VAT in the fake VAT bills scam. Sharma had repeatedly declined to provide its reports on tax settlements and the CIAA arrested him for not helping in the investigations. He is under CIAA custody following a corruption case of Rs 10.02 billion filed against three commission members at the Special Court. Commission Chairman Lumba Dhoj Mahat and member Umesh Prasad Dhakal are at large. The corruption scam involved the highest amount ever in the country. Discounts of Rs 22.98 billion for over 1,000 applications were provided on applications involving a total of Rs 30 billion. It had received applications from 1,726 taxpayers over payables amounting to Rs 40 billion.